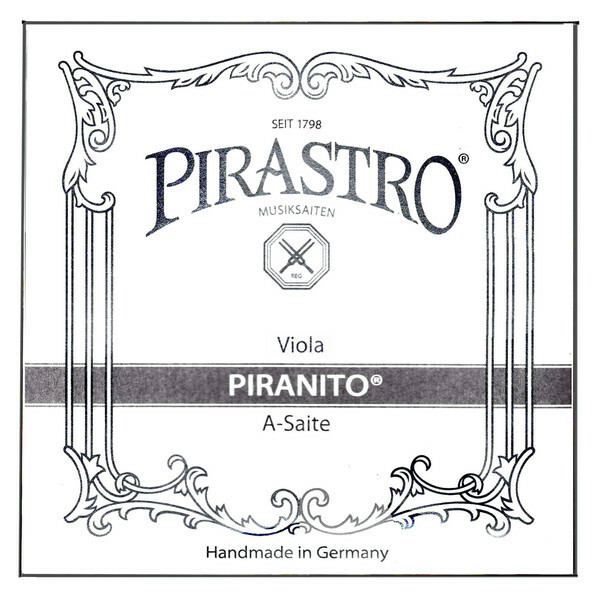 The Pirastro 625140 Piranito Viola A String has a direct sound and quick response. The single filament steel core has a bright, rich width of tone that provides soloists with a smooth sound. The chrome steel winding adds brilliance to your overall sound, as well as assisting feel. The medium gauge tension offers optimum playability and versatility. This A string has a removable ball tailpiece end and is designed for 1/2 and 3/4 size violas. 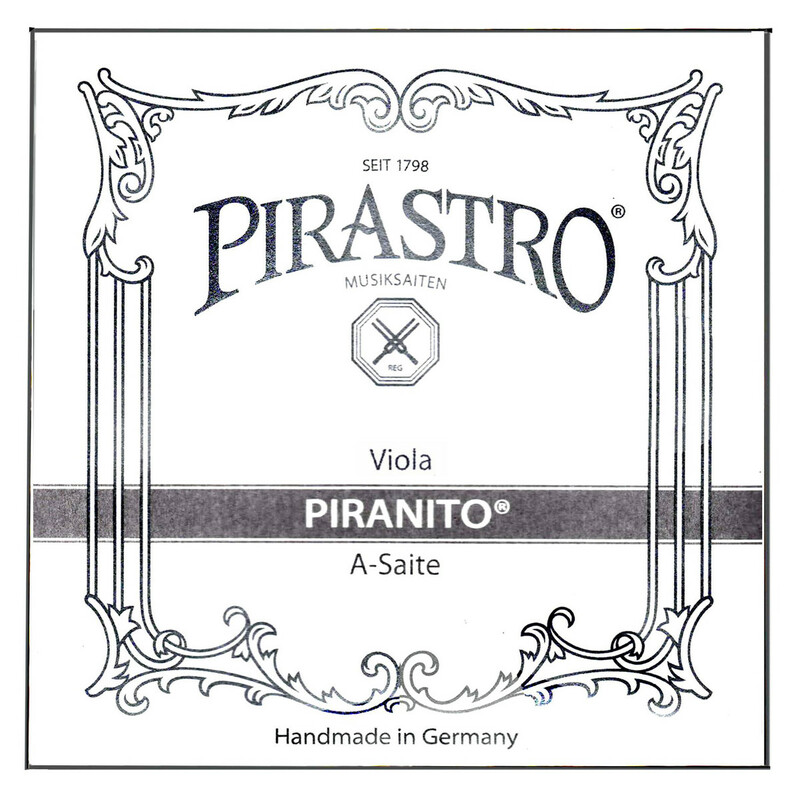 The Piranito series strings offer musicians a reliable sound. The consistent sound and playability between the strings make them ideal for students and developing musicians. The steel string material produces a bright and clear sound that accurately presents your playing style, which is ideal for musicians still progressing. The smooth transition between notes mean your playing doesn’t sound harsh or brittle. The medium gauge tension has a balance between comfort and tonal resonance. All Piranito strings feature a ball end.